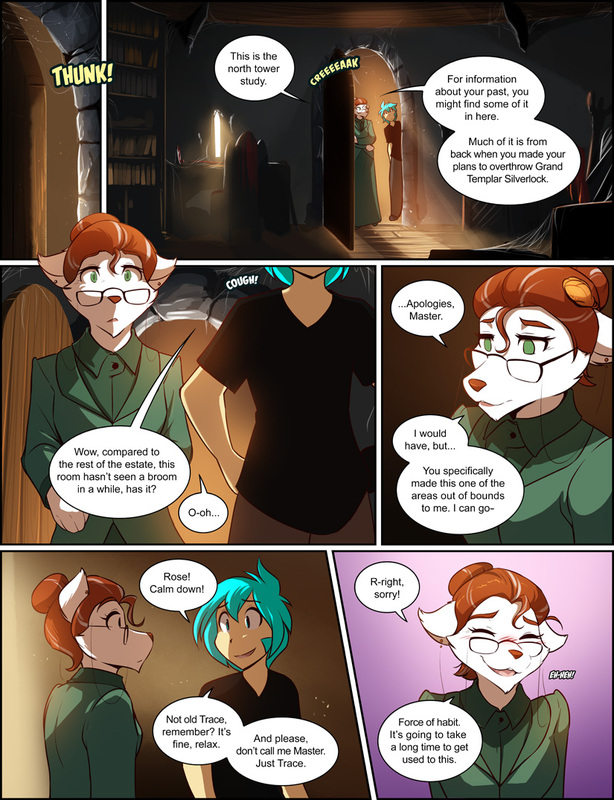 1046: Old Habits - Twokinds - 15 Years on the Net! Roselyn: This is the north tower study. 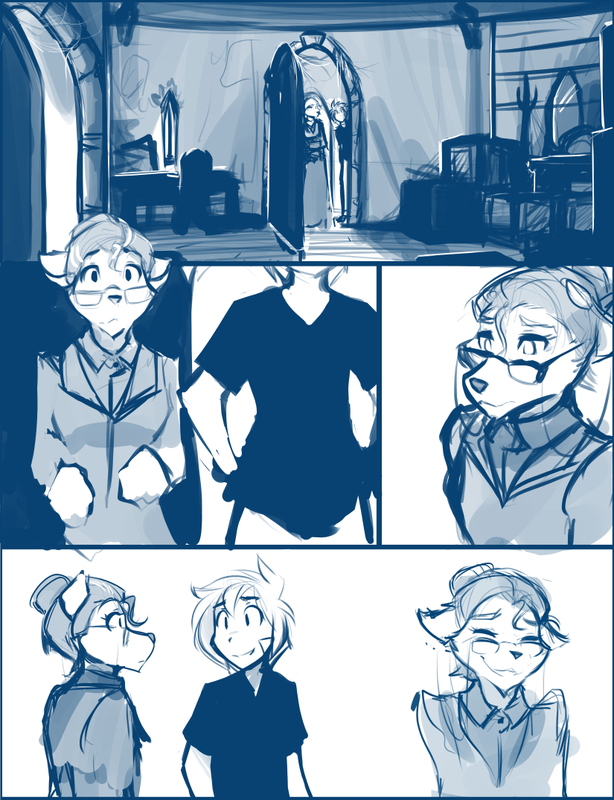 Roselyn: For information about your past, you might find some of it in here. Much of it is from back when you made your plans to overthrow Grand Templar Silverlock. Roselyn: I would have, but… You specifically made this one of the areas out of bounds to me. I can go- Trace: Rose! Calm down! Trace: Not old Trace, remember? It’s fine, relax. And please, don’t call me Master. Just Trace. Roselyn: R-right, sorry! Roselyn: Force of habit. It’s going to take a long time to get used to this.